Curb-to-curb service (unless door-to-door service is requested) for riders requiring a wheelchair lift. The Americans with Disabilities Act (ADA) requires public transit agencies to provide accessible bus service to persons with disabilities. 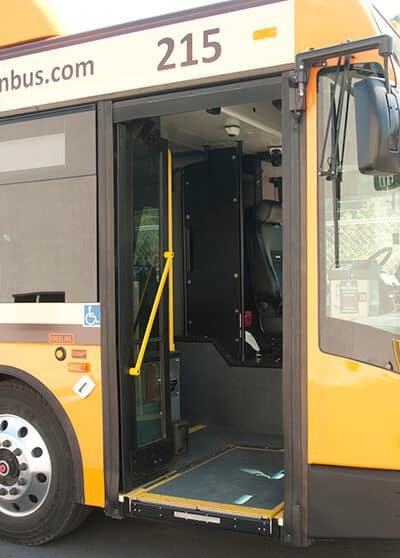 Complementary Paratransit service provides a bus with a wheelchair lift that goes directly to your home and takes you where you want to go, within a specified area. This service is provided only if you have a disability that prevents you from using a Fixed Route bus. 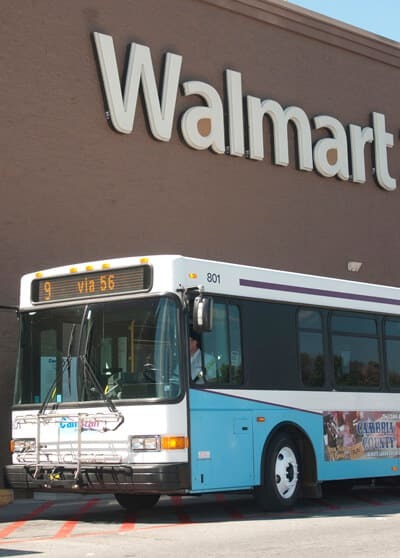 If you believe you may be eligible for Paratransit service, you must complete an application. You can obtain one by calling, writing, or visiting the CamTran Administrative offices. If you are eligible, you will receive a Complementary Paratransit Card. Call the number on the card to make a reservation. Reservations can be made Monday through Friday from 7 A.M.-4:30 P.M. as well as weekends via our answering service. This service is not free, even to those who have Free or Reduced-Fare cards. Click here to download the ADA Complimentary Paratransit﻿ ﻿Plan.